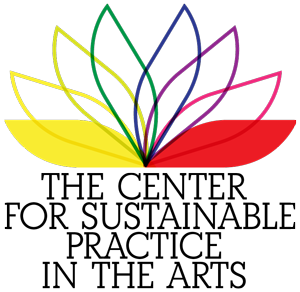 The Center for Sustainable Practice in the Arts (CSPA) announces the 2012 Fringe Festival Award for Sustainable Production at the Hollywood Fringe Festival. The CSPA Fringe Festival Award for Sustainable Production is designed to reward sustainable practice in the production of a fringe show. 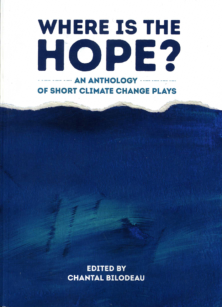 The winner will be announced at the Fringe Awards Ceremony on June 24th at 7:00pm, and will receive a plaque and a feature article in an upcoming edition of the CSPA Quarterly, the CSPA’s print publication highlighting the most exciting work being done in sustainability and the arts. The award will be adjudicated by the CSPA Directors, Ian Garrett and Miranda Wright, along with a number of CSPA affiliates. It will be looking at public communication and education, resource use and transportation in support of presenting a fringe show based on methodology developed by the CSPA itself and San Diego’s Mo’olelo Performing Arts Company, who has created a comprehensive Green Theater Choices Toolkit with a generous grant from the Theater Communications Group. To be considered for the award, a production fills out an online questionnaire. Questions range from an inventory of materials used to what public transportation lines run close to venues to how themes about sustainability are addressed in their shows. Because venues vary so greatly, all but the most basic questions are optional. Shows are encouraged, but not required to provide a CSPA affiliate with tickets to their production to allow a trained eye to look at shows and projects as they exist in the real world. As an independent producer and designer, outside of the CSPA, Garrett has produced dozens of shows at the Edinburgh Festival Fringe. Garrett also serves as the Festival Producer for CalArts Festival Theater, a program of California Institute of the Arts’ School of Theater that enables students and alumni to bring work to the Edinburgh Fringe, now in it’s 9th year. To apply, fringe show producers can head over to the CSPA’s website at http://www.sustainablepractice.com/fringe or email fringe@sustainablepractice.org. Applications for evaluation will be taken up until the end of the festival, though it is encouraged to apply while it is still possible for a CSPA affiliate to view the show. All questions regarding the award by also be be directed to fringe@sustainablepractice.org. The CSPA Award for Sustainable Production at the Fringe launched in 2010 at the Hollywood and Edinburgh Festival Fringes. Previous recipients include: The Pantry Shelf a satirical comedy that takes place in any ordinary pantry shelf, produced by Team M&M at Sweet Grassmarket; Presque Pret a Porter, produced by Dreams by Machine; and Allotment by Jules Horne and directed by Kate Nelson, produced by nutshell productions at the Inverleith Allotments in co-production with Assembly. The CSPA was founded by Ian Garrett and Miranda Wright in early 2008 after individually working on each of the programs that now make up the multi-faceted approach to sustainability separately. It provides a network of resources to arts organizations, which enables them to be ecologically and economically sustainable while maintaining artistic excellence. We support the infrastructure of this network by supplying artists with the information, education and intellectual community they need to make the best choices for their sustainability. We do this through three independent programs: CSPA Knowledge Network, CSPA convergences, workshops and granting. We extend these efforts with key partnerships with like minded organizations. Past and Present partnerships have included the University of Oregon, Ashden Directory, Arcola Theater, Diverseworks Artspace, Indy Convergence, York University, LA Stage Alliance and others. 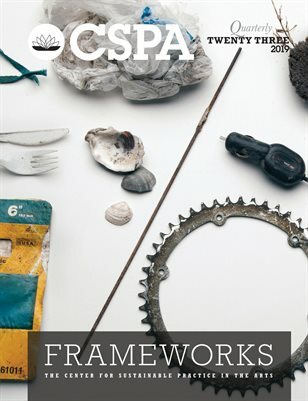 Under the umbrella of the CSPA, each program and partnership uses different tactics with their own mission to create a comprehensive and cooperative synthesis in artistic sustainability. As previously posted on 24700 (the blog for the California Institute of the Arts), Machine Project—a loose collective of Los Angeles-based artists—has been incredibly active in the Los Angeles area this fall: from its curated coatroom concerts to its recent involvement with the Fallen Fruit Project and Santa Monica’s Glow Festival. 24700 recently conducted an email interview with Machine Project’s director, founder and mastermind, Mark Allen (Art MFA 99), to discuss the nonprofit and its future. Check it out here: 24700 » Blog Archive » Well-Oiled Machine: A Q&A with Machine Project’s Mark Allen. This past December, I traveled to Copenhagen for the fifteenth Conference of the Partners meeting, better known as COP15. I was there to serve as a witness to the artistic and creative responses to COP15. I was not looking to observe the UN Climate Change Conference itself; I felt this was easily accessible through remote media, and, in some ways, the less interesting event. While COP15 itself had far reaching implications for international governments, I felt my presence could serve to chronicle the other voices that were trying to be heard through less formal means. And, in the winter edition of the Center for Sustainable Practice in the Arts Quarterly, I asserted that this creative sound — from the gallery exhibitions to the street-performance demonstrations — was the only collective, non-political voice. There is no political body that serves as the voice of the holistic sense of Planet Earth quite like those of artists. Upon my return to California, I participated in the Arts in the One World Conference at California Institute of the Arts (CalArts). In this past year, its fifth, the theme was guhahamuka, a Kiri Rwandan word that refers to the breathless attempt to articulate the inexpressible. And again I came to these thoughts of giving voice to that which can not speak for itself, and trying to communicate things which are nearly impossible to communicate. I continually come back to the necessity of art to fill this void. I see creativity as not just that oversoul of our celestial orb and home, but that which gives all people and things a chance to communicate with others without requiring political power or similar agenda-ed platform. 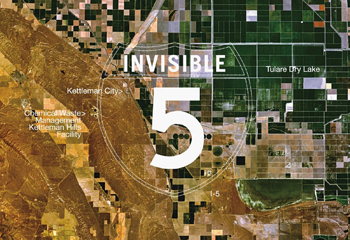 Invisible 5, a project by Amy Balkin, is a prime example of this type of work. Organized as a self-guided audio tour through the California Central Valley along US Interstate Highway 5, this project highlights ecological issues related to the history of this thoroughfare from Los Angeles to San Francisco. This additional layer of spatial encoding transforms the experience of transiting across a typically uneventful stretch of highway into a shocking story of rapid ecological disturbance, injustice, and racism. It reveals a hidden past, lending the inspiration for the project’s title. My own motor-touring experience comes with a personal history of making this driving numerous times. My father was raised in the San Jose area, and my paternal grandparents were laid to rest there. I grew up traveling back and forth fairly frequently. My brother and sister in-law now live in Oakland, and my wife and I travel when we can to visit and see our little nephew. Were I not to have met Amy and heard her speak about this project, I perhaps never would think about the secrets just beyond the shoulder of the road as I barreled along this route. Without this piece, there would only be silence, and I would have traveled on, ignorant of the veiled violence. In Balkin’s project, we are told of the duality of this region’s former riches. We hear about building up the area surrounding this new thoroughfare, the impact of oil, the creation of large agribusiness, industrial farming, toxic waste, and deadly fog. The stories are told by activists, residents, officials, and rangers. Without this compilation, though, one might never know the tales this land now holds. There are those who would prefer we weren’t paying attention; things are rarely hidden for the sake of being hidden. From the largest gatherings of political powers on the future of global ecology to the environmental maladies laid at the feet of small rural communities that aren’t expected to say much, it is important that silence isn’t encouraged. There is no advocacy in silence. There is no remembering in silence. The small island nation of Tuvalu, who became a household name through advocacy at COP15, is about to vanish due to the rising seas, and uses its little might to assert that it doesn’t want to be forgotten while the larger nations jabber. This example is most compelling because it was the closest to a pure voice that exists in these political talks. It is not talking about the threat to its economy, but simply survival. We could start to talk about any number of instances where advocacy is needed. The Bhopal incident in India was only recently revisited when Dow Chemical bought Union Carbide and had to answer questions about this tragedy. In order to appeal to developers, structurally sound public housing projects were closed in New Orleans after Hurricane Katrina. The list goes on in terms of injustice and ecology, and a lack of advocacy predicated on environmental grounds. This is what makes Song of the Bird King so important. It is an effort to amplify the voices of those affected by the over-fishing, commercialization, and subsequent acidification of Lake Sebu in the Philippines. But it also shows use the problematized arena that art must step into. It is easier to talk about the negative environmental impact of an action. There are more metrics for the destruction of habitat and ecosystems than the cultural consequences; We can talk about sea levels rising. We can talking about the annual fish kill of a body of water. We can talk about the toxicity of particulates in the air. But we cannot empirically state the effects on a population and how this affects its culturally sustainability. We live in a world where so many are culturally and geographically disconnected from their lands of origin that we rarely consider the importance of place to people. As Susie and Roberto’s documentary notes, only four percent of populations live indigenously. But we find it difficult to even understand the connection of people to their non-indigenous homes, like the farming communities of California’s Central Valley or those displaced by Hurricane Katrina. When a storm is coming, we ask, “Why don’t people just move out of the way?” without valuing a personal or a cultural attachment to place. This is the root of ecojustice, providing fairness to a person’s or people’s habitat, and, while images of drowning polar bears are heartbreaking, helping us recognize our humanity in environmental issues. Balkin’s work highlights those we don’t see in an area we see as vacant — the “away” where we keep throwing everything. We forget about the tragedies like Bohpal that continue to affect lives discarded by corporations on the other side of the globe. Who knew about the small islands in the Pacific until their inhabitants spoke up? Tuvalu and others are merely tropically anomalies with little to exploit. And, in Song of the Bird King, Susie and Roberto have the vision to look at Lake Sebu, not just as environmental issue, but one of those rare places still connected to a culture and people. Song of The Bird King | Ian Garrett speaks about Art and Eco-Justice. It goes without saying that the travel associated with our artist endeavors is not the most sustainable. I’ve been to so many conferences this last year, mostly traveling by plane. Next week I’m off to Europe where I’ll be staying in Copenhagen for COP15 and Wooloo.org‘s New Life Festival, but I’m also headed to London for the Future Arcola Launch and, it’s looking like Prague as well, to check in with a project for the next PQ in June of 2011. I personally love traveling. I feel guilty, yes, but I love going places. I also feel there is no substitute for in-person discussions. The spontaneity and intimacy of direct contact is important and this is easiest to accommodate face-to-face and in the flesh. And, even when it’s not about having a one-on-one, there is also that just showing up most of the time is a big deal. I maintain that our “success” with the CSPA is due to persistence and “showing up”. Two weeks ago, I was in Orlando for LDI for a full day of Green Sessions for the show technology crowd put together by Bob Usdin and Annie Jacobs from Showman Fabricators. There I had the chance to meet Bryan Raven of White Light in the UK again. We had been on a roundtable panel at the Theatre Materials/Material Theatre conference at the Central School of Speech and Drama‘s Center for Excellence in Theatre Training in April of 2008. That previous conference was also when I was able to meet, and have a drink with, Ben Todd from Arcola. Ben, who was not able to come to Orlando, and was instead in Stockholm (maybe you saw his post early this week) , was present via a video chat to talk about Future Arcola. With the ubiquity of broadband connections, more and more people seem to be relying on video conference/chat technology to get other busy, high profile, greener guests to be able to be in two spaces at the same time. And, as it tends to shake out, the resident technophile/ show technologist, I get the pleasure of making a lot of them work. Last night, at California Institute of the Arts I set up a video chat audition for guest artists that will be in residency at REDCAT, CalArt’s downtown LA space. The Artists of Invasion from the Chicken Planet, are based in New York and, though of no sustainable intention, weren’t going to fly out to audition some of our actors to use in their residency for two hours. The day before, we had tested the connection. We used the same computer with the same software on the same network (hardwired into the wall) that we’d use the next day. We tried Skype, which was too choppy, garbled and had a couple seconds delay that made it less than ideal. We then switched to iChat with AOL Instant Messenger accounts and after realizing another computer being connected was preventing a decent video link, it proved the smoothest and most immediate. So last night, when we moved the computer into the room that we would be conducting the auditions in, we configured the machine the same way, but were not able to make a connection on iChat. Skype had the same issues. At the prompting of a student director who was assisting, we tried Gtalk Video chat. It ended up working immediately and with excellent quality. Earlier in the year, at Earth Matters on Stage (EMOS), when Moe Beitiks had tried to link up Brent Bucknum to present his bio-remidative work via video chat, we tried ooVoo, which we gave up on in favor of iChat again. We had almost just given up, but I only thought to use iChar from the decent chats I had experienced with my brother-in-law who was living in Edinburgh at the time. Also at EMOS we had a video conference in the University of Oregon library with a panel in London arranged by the Ashden Directory, which used their dedicated video conferencing package. In both situations the video wasn’t great, but we could sort of communicate. The Ashden Session involved each end of the discussion/video conference going into another room to watch a video and then coming back to discuss together. But there was lag and the video wasn’t particularly clear. The Brent Bucknam session was not bad, but very one-way. For Green Day at LDI, the audio was great, but in one session, with Seema Sueeko from Mo’olelo Performing Arts, the video was minutes behind the audio connection. Having now had extensive experience with video conferencing in less than ideal situations, I do long for the day when we’ll be able to turn on whatever client we’re using to video chat and it works smoothly and immediately, let alone with high resolution. But, that day isn’t particularly close. There are a lot of variables in the way of making that happen. Network connections, equipment, client servers, client and local network traffic, sunspots, radio waves and the phases of the moon. Even when we tried to eliminate as many of those variables in Eugene as possible, it still didn’t work ideally. Or, what was ideally was not enough to convince. Will our broadband video connections be able to save us the footprint of air travel for conferences and internationally collaborative meetings of the mind? Not yet. There might be some expensive corporate system out there, but we lowly green artists aren’t going to hold our breath waiting for that. Oprah’s skype seems to work fine, but I’ve never had such luck, so I leave that package just to replace my need for international phone calls. I’d still rather sit and talk to you, especially when we aren’t both staring at our monitors in our Pajamas. Also yesterday, Enci Box of Rebel Without a Car Productions came to speak to my and Leslie Tamaribuchi’s class, Sustainability Seminar. She can to talk about producing a short film as sustainably as possible. This included not using cars and transporting everything by bike with the help of the LA Greensters (green teamsters). She made the trip from East Hollywood, in the center of Los Angeles, to the edge of the county, where CalArts resides in Valencia, without a car. She came up on a Metrolink commuter train, biking from the station to campus. She and I had worked out the options for getting there and she had the time to dedicate to coming up. Also, she was lucky to had met a guy who regularly made that journey to visit his girlfriend at CalArts and could relay the benefit of his experience. She then went back home, via bike. all roughly 30 miles of the trip. Coming up to CalArts, it took 2 hours. Returning was supposedly going to be one and a half hours. All for a 45 minute presentation. I suppose we could have had her “skype” in (even if we don’t typically end up on skype), but having her there in-person was a much greater thrill and much more in the moment for the students and for her. Instead it took dedication to not leaving a footprint, and finding alternatives to get to the class. I’m very much indebted to Enci for making the journey, which some might say was epic, to present for a fraction of that travel time. But, I think it far surpassed our alternatives. California Institute of the Arts’ Sustainability Seminar promotes reusable kitchenware! Enjoy this video of the Sustainability Seminar’s plate day experience on April 22nd last spring!! BYOKitchenware from Ryan Francis Etzel on Vimeo.